What Are Tampa OxyContin Rehab Centers? OxyContin is a trade name for the opiate (pain-relieving) drug known as oxycodone. This medication has its uses for people to relieve acute pain, usually due to surgery or an injury, or for chronic pain, usually due to cancer or another condition. However, it is subject to abuse and addiction for those seeking the euphoric high that abusing opiates can result in. When a person suffers from OxyContin addiction, they should seek help at Tampa OxyContin rehab centers. Opiates such as OxyContin work by attaching to receptors in the brain, which are responsible for relieving pain, but also producing a euphoric effect. Nearly half of all addiction-related deaths in the United States are related to abusing opiates. Of the 52,404 people who overdosed in 2015, an estimated 20,101 are related to prescription opiate abuse, according to the American Society of Addiction Medicine. While the state of Florida has enacted programs, such as prescription drug monitoring as well as education for prescribers and patients, to reduce the incidence of opiate abuse. However, Florida’s OxyContin problem remains a severe and concerning problem for Tampa residents and beyond. Our OxyContin rehab Tampa can help a person break not only the physical addiction to OxyContin but also the mental addiction that a person has developed to the way that taking OxyContin makes them feel. Help is out there, and it is at our Tampa OxyContin rehab centers. How Does Oxycodone Addiction Treatment Work? The U.S. Food and Drug Administration (FDA) has approved medications to treat opiate withdrawals. These medications can reduce cravings for the drug and withdrawal symptoms, but will not give off the same euphoric high as taking OxyContin can. Examples of these medicines include Suboxone and methadone. In addition to these medications, a person can receive anti-nausea and anti-anxiety medications, if desired. The acutest effects associated with oxycodone withdrawal usually last anywhere from five to seven days. After this time, a person will usually start to participate in relapse prevention programs. Addiction is a complex and chronic disease, not unlike other physical diseases such as high blood pressure. 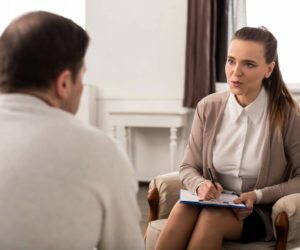 The condition takes oxycodone addiction treatment to help a person identify new, healthier patterns and ways of life to replace the life they have lived that was focused on oxycodone use and abuse. Examples of therapies offered at our Tampa OxyContin rehab centers include behavioral counseling, family therapy, music therapy, restorative yoga, drug testing, and many other approaches that have been medically shown to reduce the incidence of OxyContin abuse. OxyContin addiction is dangerous and deadly. A person may obtain “bad” pills that are not actually OxyContin, but instead a combination of OxyContin and stronger medications, such as Fentanyl. Abuse of prescription pills is also a major contributing factor to addictions to street drugs, such as heroin. According to the American Society on Addiction Medicine, an estimated 80 percent of heroin users started out as prescription painkiller abusers. If a person takes too much OxyContin, they can overdose because the drug depresses breathing. They can stop breathing altogether. When their brain does not get enough oxygen, they cannot live. If they do survive an overdose, they can have major deficits in the way they think and move. Stopping this from ever happening is vital. Tampa OxyContin rehab centers can help. For more information on rehab options to treat OxyContin addiction, please call WhiteSands Treatment at (877) 855-3470.